Variation #3 of "Spring" design. Pushing void vs. chaos, elements by introducing additional layers of texture. Using the natural grains in plywood as a design element. 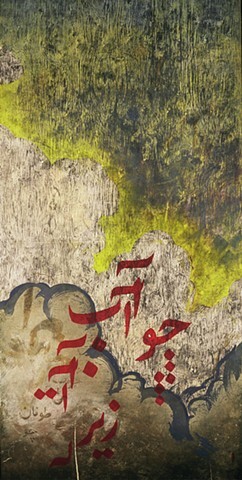 Further experiments with colors and calligraphy to represent seasonal elements, and cultural and personal references.